Hamilton Island is one of the 74 tropical islands in the Coral Sea, between the Queensland coast and Great Barrier Reef. It is the largest inhabited island in the Whitsundays, positioned nearly half way between the coastline of Mackay and Townsville. Hamilton Island lies on the same tropical latitude as Honolulu in the northern hemisphere and Mauritius in the south. It has a year round tropical climate with an average temperature of 27.4 degrees centigrade. For more information on weather please visit Hamilton Island Weather. 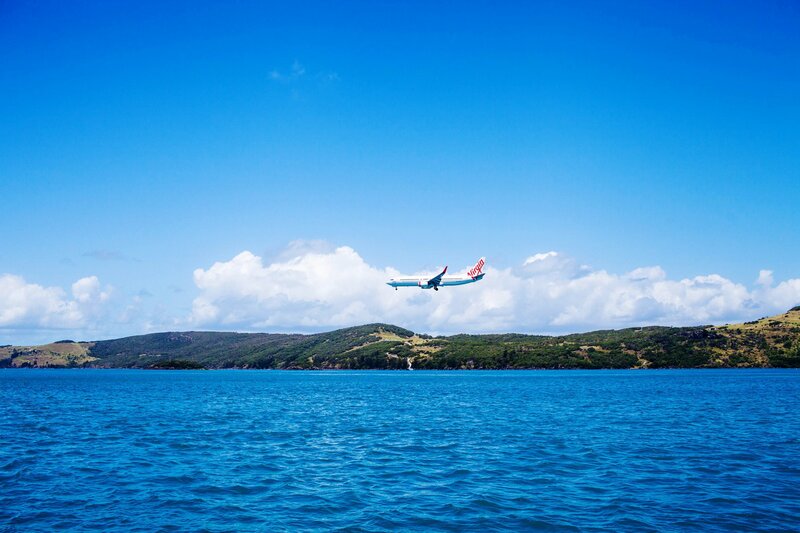 Hamilton Island is accessible via Qantas, Jetstar and Virgin. Jetstar Airways offers daily flights from Sydney, Melbourne and Brisbane. 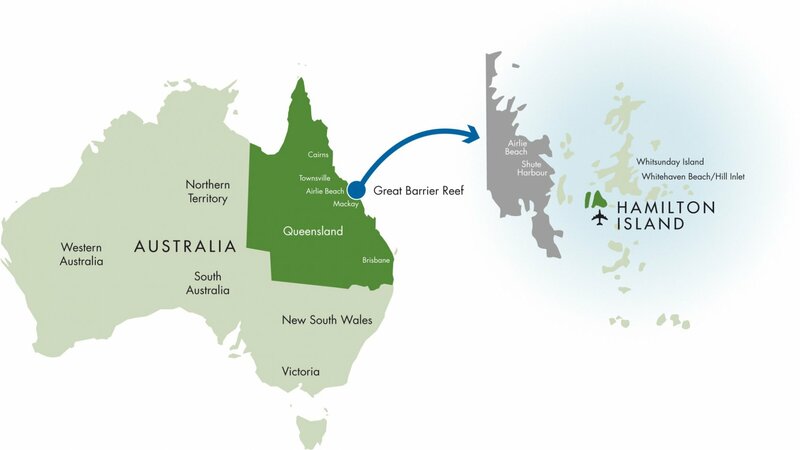 Qantas offers daily flights from Cairns. Both Jetstar and Virgin fly to the Whitsundays (Proserpine) from Brisbane and Sydney. 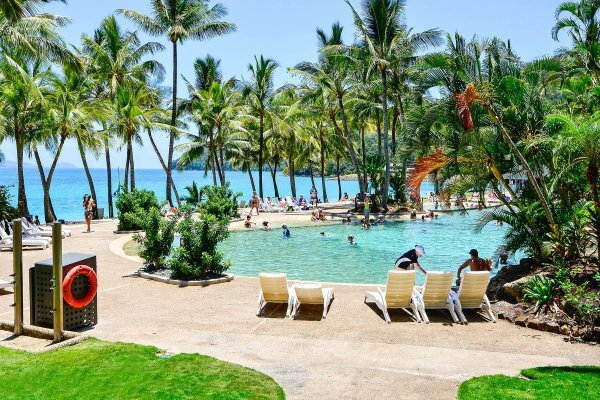 Upon arriving into Proserpine airport (located on the mainland), a coach service is available to Shute Harbour where you can catch the "Cruise Whitsunday ferry" to Hamilton Island. With over 16 restaurants and takeaway outlets to choose from, there is always something new and exciting to tempt your tastebuds! Enjoy a huge range of cosmopolitan cuisine including a variety of international styles and the freshest seafood you'll ever experience. Hamilton Island is a food lover's paradise. 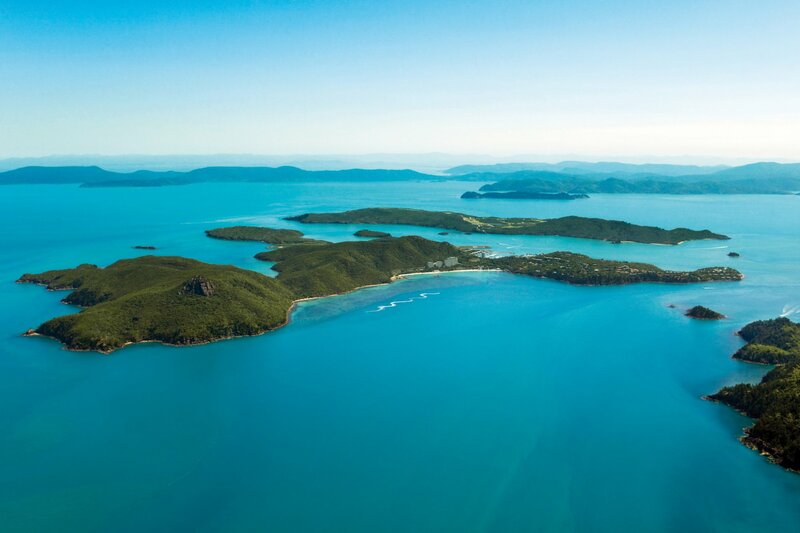 More than 80% of Hamilton Island is natural tropical bushland, making it perfect for bush walking and home to many native Australian animals and birdlife including kangaroos, wallabies, cockatoos and lorikeets. The Hamilton Island Marina has 135 berths to cater for more and 20 boats that arrive and depart each day. Hamilton Island Marina can at present accommodate vessels up to 40 metres. The Hamilton Island Clownfish Club incorporates a Senior Adventure Room operating exciting excursions for children ages 5 - 14 years and a Junior Child minding (6 weeks - 4 years) which is fully licenced with the Department of Families, Youth and Community Care. Parents can relax knowing that their children are enjoying safe, supervised age-related adventures including arts and crafts, beachcombing, snorkelling, hiking, fishing, mini-golf and pool games. 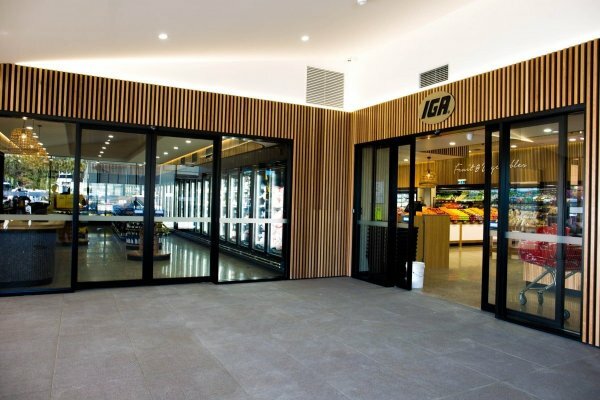 Hamilton Island features fantastic shopping with 20 boutiques and specialty stores throughout the Marina Village and resort centre, ranging from a IGA through to local art and fashion. Forget the mobile phone, leave your watch at home, no razor scooters or skateboards, but do remember to bring along swimming costumes, sunscreen, a sun hat, a light weight or water-proof jacket during the cooler months, day pack, comfortable walking shoes, smart casual attire for dining out, and the book you've been meaning to finish! Free for all island visitors and guests. It operates every day, from 6.50am until 11.00pm, meaning you can use the service to transport you to and from dinner at any of the island’s renowned restaurants and bars. With plenty of room on board, the Island Shuttle is a great way for families or groups to get around the island. The shuttle follows 2 key routes, and operates every 15-40 minutes - so it’s very easy to get where you need to go.